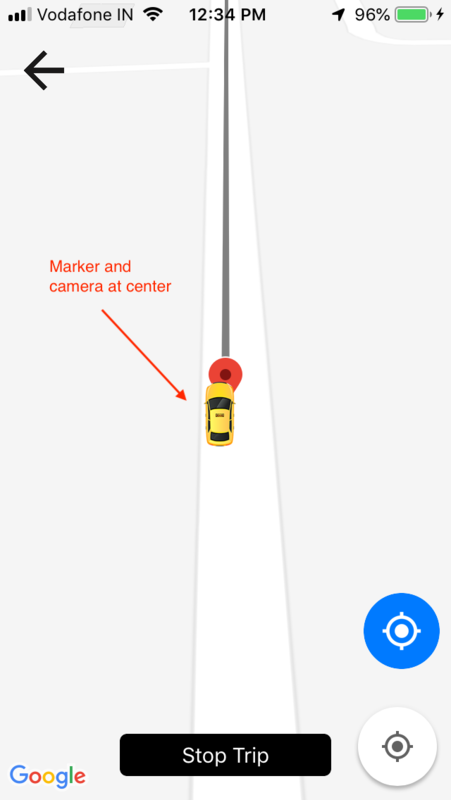 Currently position of camera in map at center always. Please check screen 1 for that. 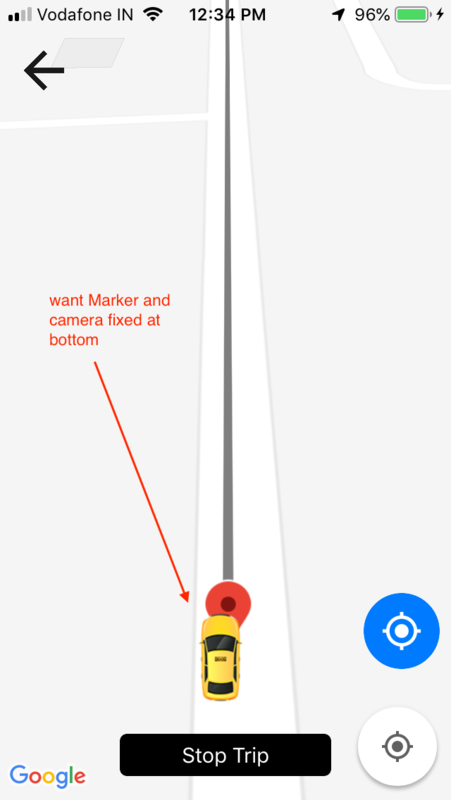 I want to fix the camera to bottom with offset, just like screen 2.